A recent piece in USA Today by Brad Cohen claims that the best Jewish food in the world is in Montreal. 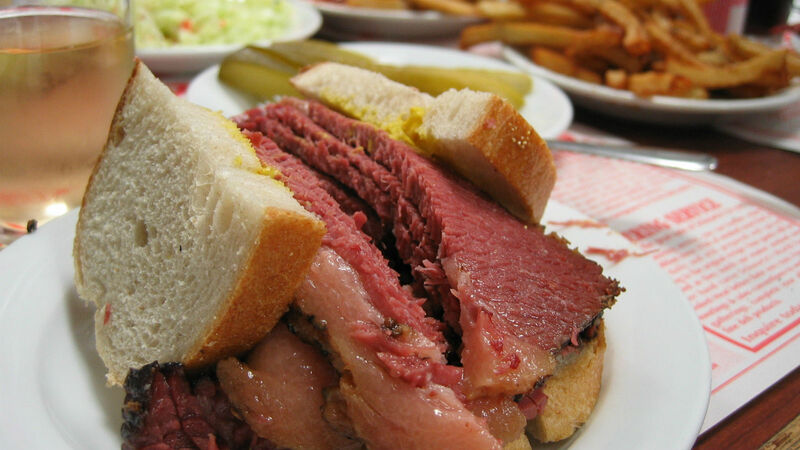 And it’s true — Montreal has a strong tradition of its own unique smoked meat. (I even smuggled a whole brisket back for my former boss, Edgar M. Bronfman, of beloved memory). And there is real contention over whether Montreal-style bagels or New York-style bagels reign supreme. But Cohen’s assertion that deli is dying in New York is not exactly true. While Carnegie Deli did close its doors last year, Katz’s deli is literally expanding its reach all over the world. Mile End Deli, with multiple locations in Brooklyn and Manhattan, has dominated the “best of” lists in New York and Instagram feeds since launching. Not to mention any number of other renowned, new and old, Jewish eateries in New York such as Barney Greengrass, Russ & Daughters, Breads Bakery, Taim, Shelskys and a host of others beloved, high-quality Jewish restaurants. No doubt, Montreal has some fabulous Jewish food. But, in this humble born-and-bread New Yorker’s opinion, New York still reigns supreme.